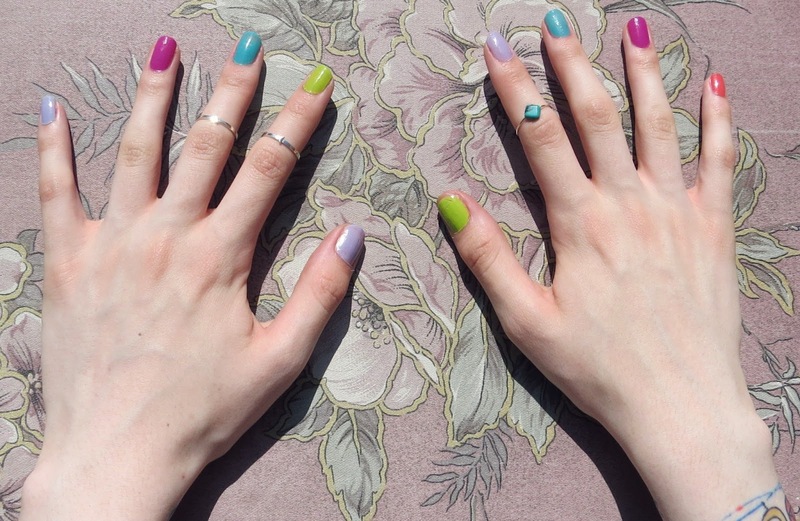 I was lucky enough to be sent out Essie's Summer collection recently and as quite a new fan of the brand, I was more than excited to try them! I purchased my first Essie polish around 3 months ago and have nearly used it all up already (see what it is here)! I was quite wary before purchasing it, in all honestly - I kept wondering were the polishes worth the €9.99? I was pleasantly surprised with the results and purchased more polishes from the brand. The majority of the polishes from the Summer collection are worth the money, after many wears and experimenting. 'More The Merrier' (green) and 'Sunday Funday' (coral) are the longest-lasting from the bunch, with only minor chipping happening on the nails after day two. The other polishes are hit and miss, depending on what you're doing; I work with my hands constantly in work, so chipping nail polish is a common occurrence! Like most Essie polishes, the colour becomes opaque after 2-3 coats. I recommend applying 3, with a base and top coat to get the most out of the them. Overall, I think the collection is fantastic. I appreciate a nail brand venturing outside of the generic Spring/ Summer shade ranges and introducing more daring colours - 'The More The Merrier', I'm looking at you! Essie nail polishes are available from selected pharmacies nationwide - I personally buy mine from McCabes Pharmacy in Dundrum Town Centre. Are you a fan of Essie polishes? What shade is your favourite?